User interfaces, although they may not be the main selling points for a game that ropes everybody in, they can still make or break a game. A good user interface connects the user with the game’s world. User interfaces are the mediators that can connect a user with the experiences of the game. If a game has a bad interfaces, it can disconnect the user from the experience and it can be a good way to detract them away. It’s quite often that a player’s complaint about a game will have something to do with the game’s user interface. User interfaces are an integral part of a game and they are important to consider during the game design process. 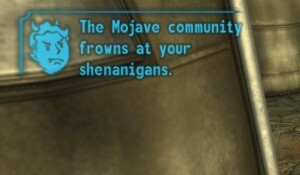 There are a ton of games that get user interfaces right, one of them being the recent Fallout games. The thing that I like about the interface is that it is integrated into the story. 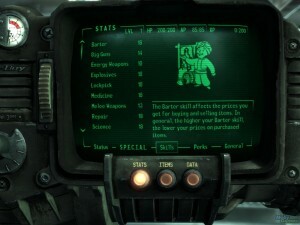 The Pip-Boy is the famed console that player use to access a ton of information about their characters. In the story, everybody in the game’s world gets a Pip-Boy when they reach a certain age. It’s a genius way to bring players into the game’s world and lore. The Pip-Boy, to start off, looks really nice and stylized. It’s a mix of old world technology with new world elements. 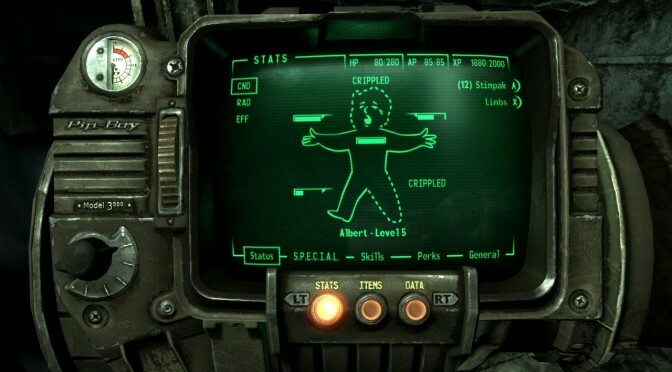 It’s probably safe to say that the Fallout games predicted the recent fascination with smart-watch technology. The Pip-Boy is essentially a smart-watch that relays a bunch of information to the user. Players can change their equipment, access their items, examine their health, look at current mission objectives, and access other game data. Everything is organized into nice lists that are sortable and easy to read and to accompany these lists, pictures of the different items, abilities, and equipment are shown on the side of the screen. The user interface looks nice and clean and it is extremely fun to use. Everything else about the game looks nice as well. The menu’s for the dialog options are intuitive and easy to use and there are also button prompts that pop up all over the world explaining different actions you can perform on objects and people. These prompts change color, depending on what type of karma these actions will give you. Although these elements of the game may seem small, they do a good job of immersing you in the world and not disconnecting you. But, not all games get user interfaces right like Fallout. When I think about games that don’t have good user interfaces, I instantly turn to MMO’s. I myself have not played World of Warcraft, but I have played Guild Wars 2. 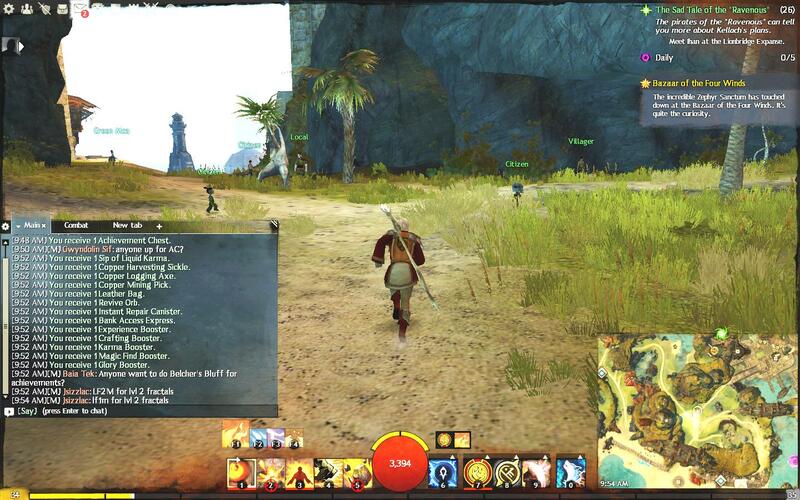 MMO’s are commonly plagued with cluttered text overlays and menus that are displayed all over the screen, which can be overwhelming a good majority of the time. In Guild Wars 2, there is just so much stuff happening on screen, making it hard to know what’s going on at a given moment. 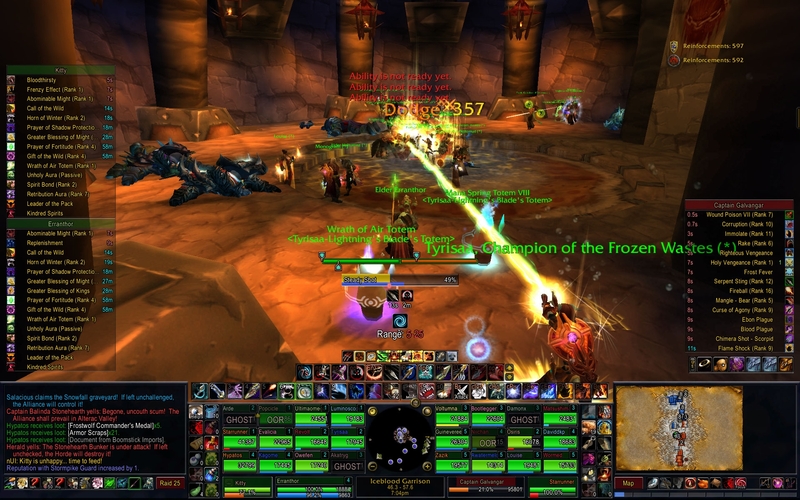 MMO’s usually have a lot of information to relay to the player due to the scale of the game. There are different currencies, spells, attacks, and other stuff is all displayed on the screen at once. This is actually what detracted me away from the game. It became too much and I decided to go to something that was much simpler to grasp. It’s hard to fault MMO’s for this because they haven’t gotten to the point where their user interfaces are acceptable. For MMO’s, this is probably the hardest part to design. Like I said before, there is a lot of information that needs to be relayed to the user. It’s hard to figure out a way to present this information to the play in real-time without confusing them or overwhelming them with menu’s, overlays, and sub-menu’s. A lot of times, games just need to be play tested in order to develop a good interface. It’s important to know what kind of output a user wants from a game. If some information is not important, you can put it in a sub menu or a menu screen. However, important information that a user always want to refer to can be displayed on screen in a nice manner that isn’t cluttered and confusing. Although all of this is easier said than done, it is vital to a game’s success. Hmmm…. I really wish I could get you and Alec in a room together and listen to you argue about GW2. Alec argued in his blog that GW2 has a great UI. If you read through the comments, you’ll see that I’m on the fence. I’m not sure if I found it as cluttered as other MMO UIs, but it also didn’t jump out at me as well-designed either. I’m wondering now about your suggestion that it’s particularly difficult to design a good UI for an MMO. I think there’s something to that idea. Given how much information players need/expect when they play the game, it might be tough to create a UI that doesn’t end up cluttering the screen.